Immediate download of The Sentient Man in your choice of 320k mp3, FLAC, or just about any other format you could possibly desire. This song was called Argument during its creation process. 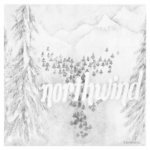 It's long and involved, and not the best introduction to Northwind, but worth listening to several times.